Well, technically we made them out of Cambria quartz. The Pinewood Derby is a pretty big deal here in Utah. 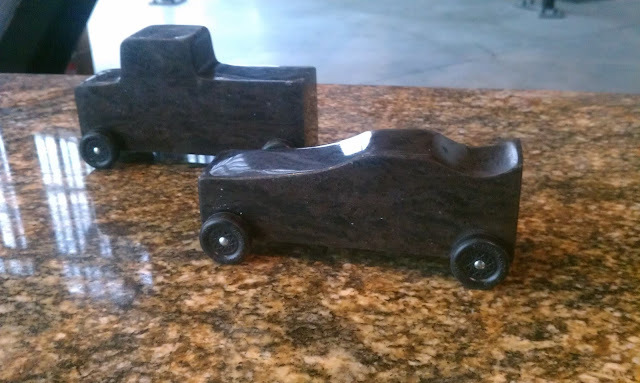 In some areas after the real Boy Scout Pinewood Derby the adults will get together and have one of their own. This derby is no holds barred. The only rules are no pyrotechnics and no liquid. 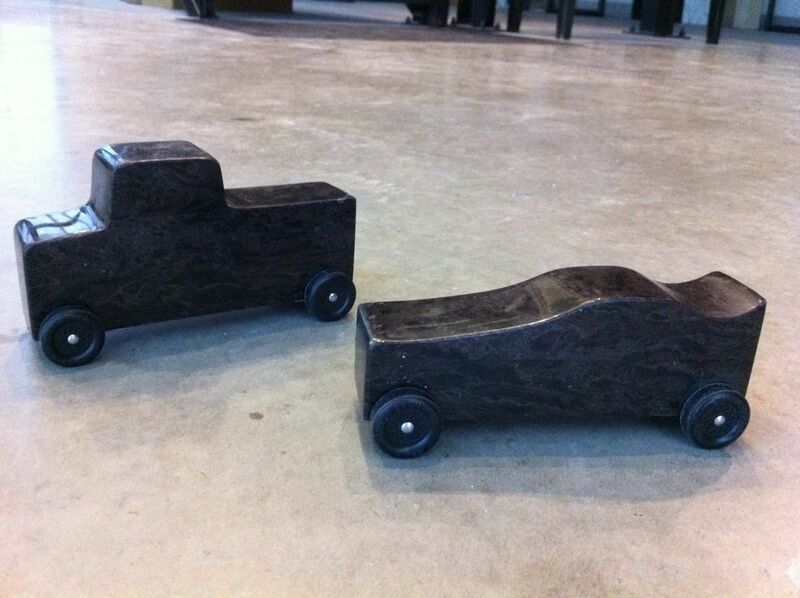 This year the owner of our company, Dan, decided to have his car made out of stone. The thinking was the car would be heavier and therefore would win. We had just finished cutting a job out of Cambria quartz, so they used the leftover scraps to build a car and a truck for Dan's derby. This video is pretty funny, it shows the truck in action....and crashing into BJ's iPhone. Oh, and the cars did great! Dan got the best time at 2.64 seconds and took 3rd place overall.